Fairbanks, the northern-most city in America, is a far-flung outpost in a veritable sea of wilderness. Winter and summer seasons are absolutely guaranteed. The quality of light in the region, and how it lingers on the hills and mountains, tundra and boreal forests can be found only here. 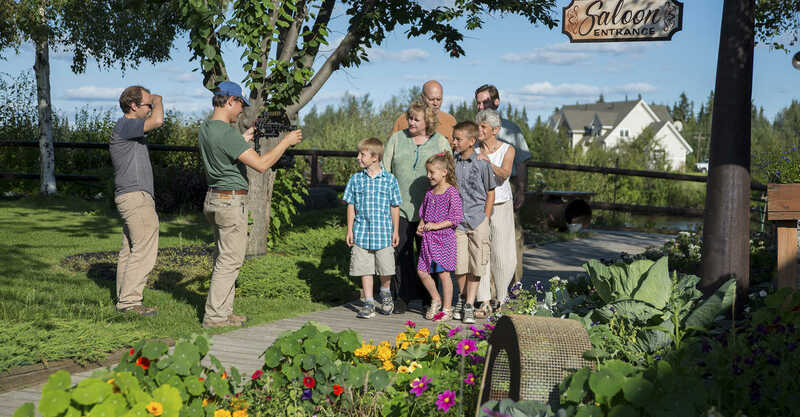 So if you are looking for accessible wilderness, snow in the winter and sun in the summer and beautiful, everlasting natural lighting, then Fairbanks could be the place for you. In addition to these environmental qualities, Fairbanks is known for its hospitality and resourcefulness. Accommodations and services of all kinds are available in our river city. Including a host of locally-based professional videographers, editors sound technicians and more. Whether you are looking for someone to scout out potential locations, book a long term hotel stay, cater to the needs of your cast and crew, or assist you with potential tax incentives there are people available to meet your needs. And if you want to have something special built or transported or jerry-rigged in some unusual way you’ll likely find a Fairbanksan keen to help you with your mission. Fairbanks, a modern community with a population of nearly 100,000, is surrounded by pristine landscapes. Make Fairbanks your base camp for Alaska’s Interior and Arctic. Fairbanks is literally the beginning of the end of the road. Film something exciting. Film something different. Film Fairbanks.